So since my story “The Break-in” is being published this summer, I bought amazingly adorable USB drives to hold my ebooks for the winners of my blog tour.I’ve read so many articles on swag and whether or not it’s an important marketing tool. Some say only spend money on paper products like bookmarks and postcards because they’re low cost and easy to ship. And you can sign them–people like autographs from their favorite authors. Others say never spend on paper since these often go in the trash. Another theory about swag or giveaways, is that you stick to what everyone likes–a gift card. Make it for a bookstore like Barnes & Nobles or Amazon. That way winners can buy more of your books. It’s a little impersonal but you can’t go wrong giving everyone what they like. And my personal favorite theory on swag is to choose giveaways that are both useful and cool. That’s where my kitty cat USB drives come in. They can hold an ebook (and other files) but also look a little silly. They represent my story “The Break-In” because the scientist, Forbes Pohle, has a robot cat. My author pens also ascribe to this aesthetic. They have my web address on them, but they write and also have a cool maze in them to keep you busy during those long boring meetings and classes. I’m hoping that winners of my giveaway items will remember me and the care I’ve taken to choose something that both speaks of me and my stories. 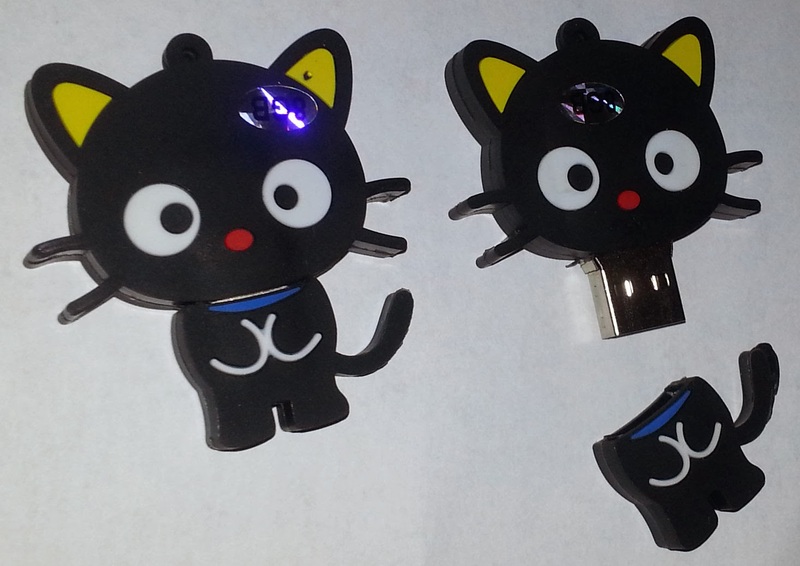 Of course, if you enter the drawing during my summer blog tour, there will be other cool prizes in addition to my adorable kitty USBs. You’ll just have to participate to find out what they are!